I bet there are generations reading this post right now who grew up without ever using an old-fashioned bar of soap as part of their daily cleansing routine. I think I just missed the moment that soap became thoroughly unfashionable because throughout my 80s childhood, we never did a monthly shop without picking up a couple of bars. Wrights for my Mum who adored the smell, Pears for us kids because we all loved the fact that it was see-through (simple things, simple minds…), and Imperial Leather for my Dad, because, after all… he is a man, man! Soap was kind of a big thing in our household and looking back, I can’t remember when this changed. But change it did, nowadays… the only time soap gets bought is when I spot something on the shelves at TKMaxx that smells (or looks) so damn good, I just can’t leave it behind. I never purchase bars of soap as a bathroom necessity, simply because it’s not as convenient as its liquid counterparts. 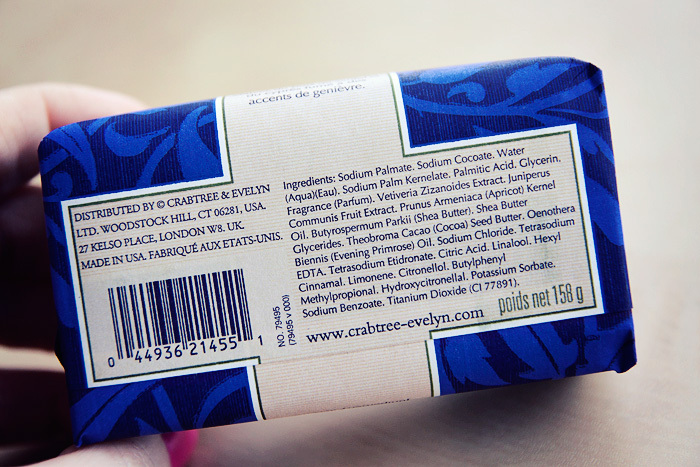 The decline of mass-market purchasing of soap bars isn’t without its benefits though. 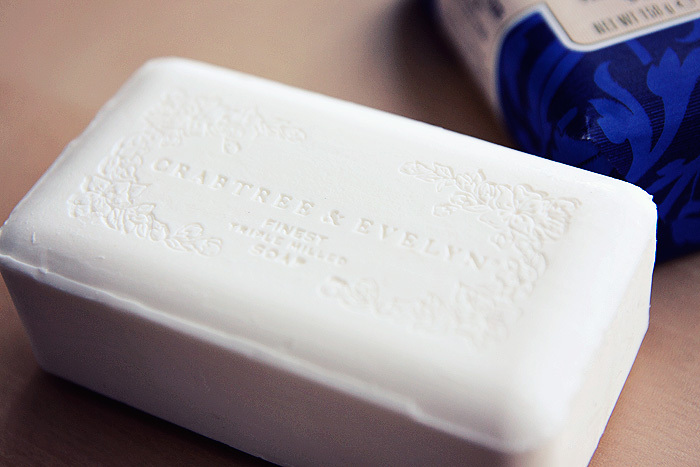 Moving into more of a niche market means that manufacturers have been able to really concentrate on turning the humble soap into an indulgence rather than a necessity and nowhere is this more apparent than with a brand like Crabtree & Evelyn. Now, the truth is… there’s just not an awful lot I can say about soap. 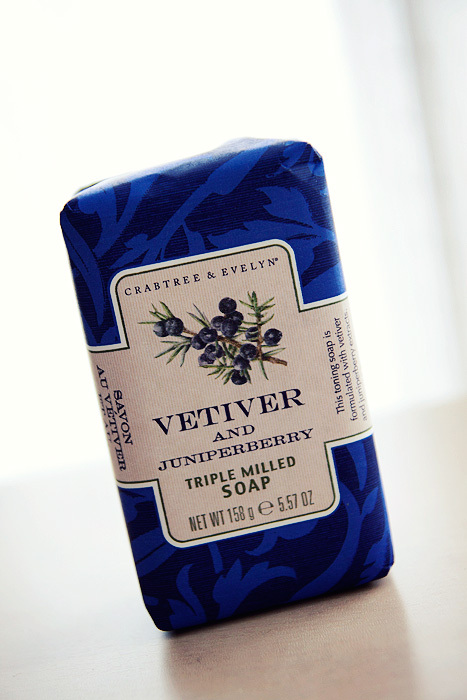 Even soap that’s as beautiful as this Crabtree & Evelyn Heritage Vetiver & Juniper* one. It smells amazing, it lathers, and it cleanses. I don’t use it on my face… my skin would never forgive me, but I do have fun chasing it around the shower. But most of all, you’d pick this up because of its scent, “Incroyable!” as the French would say. 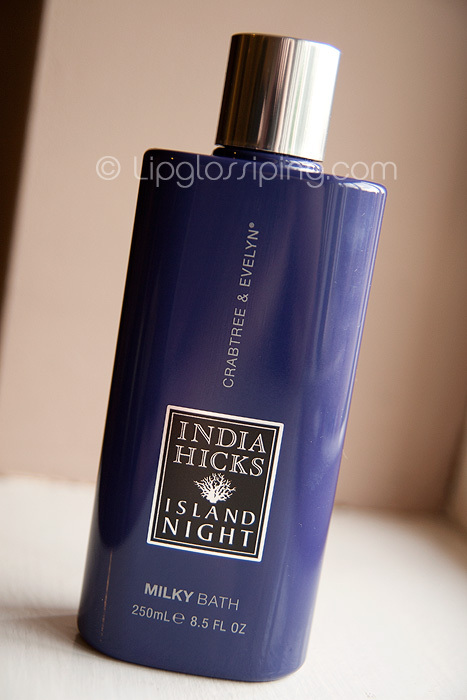 I don’t mind admitting that I called in a sample of this purely because I adore masculine Vetiver and/or Juniper smells… I wanted that gorgeous clean MAN smell near my nose, and I wasn’t disappointed. It’s warm and woodsy, outdoorsy and a little bracing… Mr. L has taken to shaving with it, and I’ve taken to sniffing him regularly. Soap just got interesting again. The British brand do an entire range of Heritage Soaps including: Avocado & Olive Oil, Black Sea Mud & Seaweed (tempted), Milk & Honey, Crabapple & Mulberry, and Verbena & Lavender, priced from £6.00. Your nose should check them out as a matter of urgency. 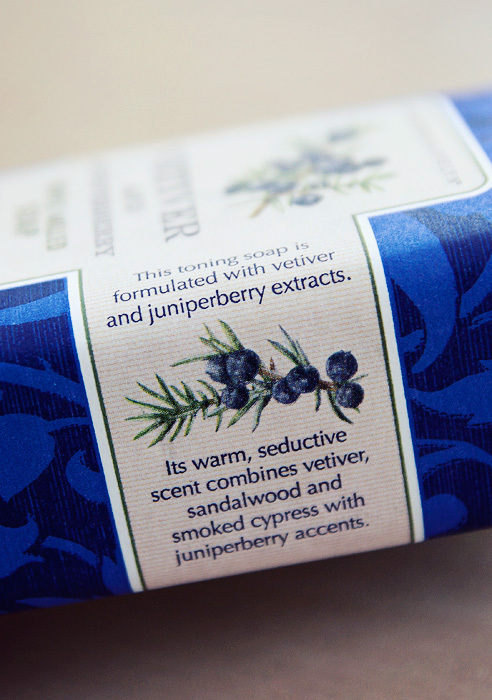 This one, the Crabtree & Evelyn Heritage Vetiver & Juniper Milled Soap is priced at £7.00, and is available instore and online at crabtree-evelyn.co.uk. It’s also currently online a little cheaper, at escentual.com. Do you appreciate a good bar of soap? Do you ever buy it? ** I can’t stop singing “soap, perfect soap, is the gift of Christ our Lord” – huge kudos if you remember changing the lyrics during assembly too! Had I not spent the day trying to find a quiet little hole to climb into, I would have blogged this within seconds of it landing in my inbox this afternoon. Basically, take any old hand cream (not a C&E one, that would be stoopid!) 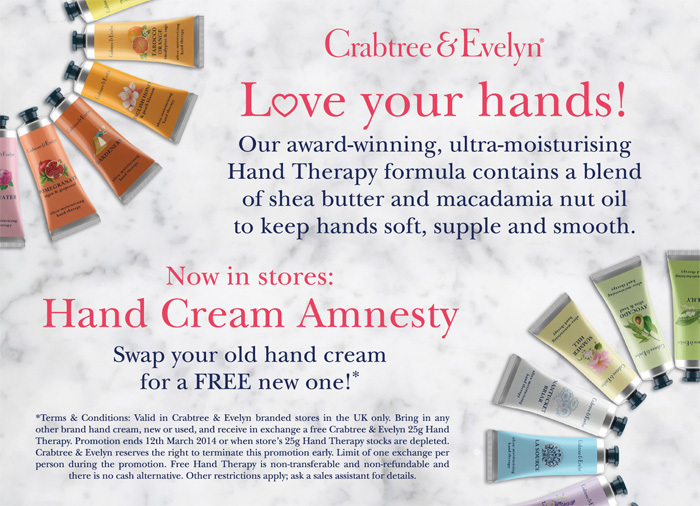 into your nearest Crabtree & Evelyn store before the 12th March and – while stocks last – a kindly sales assistant will swap your surrendered hand cream for a free Crabtree & Evelyn 25g Hand Therapy worth £5.00! That’s all there is to it but do check out the T&C in the image above just incase. Do you have any half-empty hand-creams that you’re willing to part with? I know I do! Orange juice and toothpaste, a vegan at a BBQ, Miley Cyrus and a touch of class. Some things just don’t seem to want to go together do they? 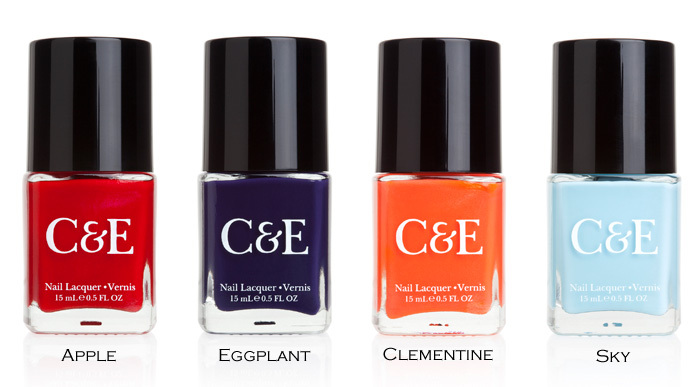 Crabtree & Evelyn and nail polish? To be honest, I always think of Crabtree & Evelyn as a bit of a nanna-brand, aimed at garden potterers and people who use talc. 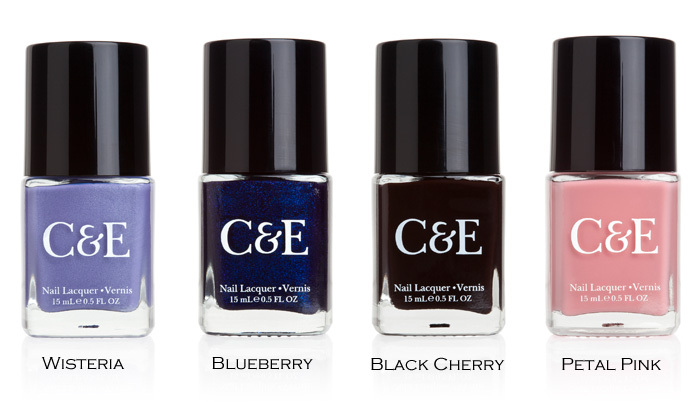 What are they doing with a new line of fashion-forward nail lacquers anyway? Does it fit their target demographic? Not too shabby, I think you’ll agree. Don’t underestimate those Crabtree & Evelyn shoppers, Nanna’s everywhere have their fingers firmly on the pulse it seems. 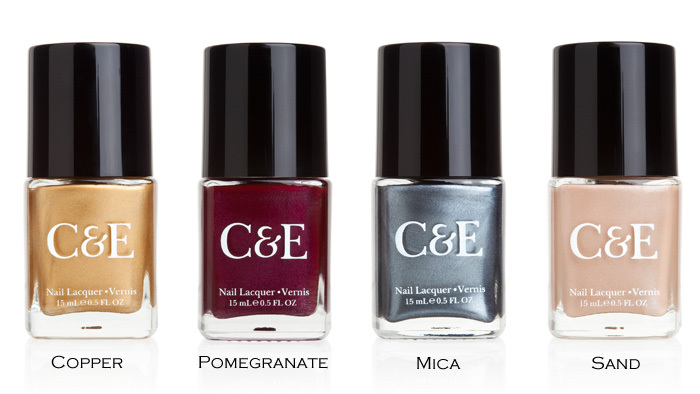 The range includes a total of 19 polishes, I’m missing a few from the pictures above… including a rather fabulous-looking olive green that I’d really like to check out sooner rather than later. Also, in the lineup (but omitted from my picture) is a clear top/base coat, and a box of nail polish remover wipes that have been formulated with an environmentally friendly soy-based formula instead of your usual hydrocarbon solvents! All rather innovative stuff from a brand that, to be honest, I didn’t think had it in them. …each 15ml bottle is priced at only £6.00 each. 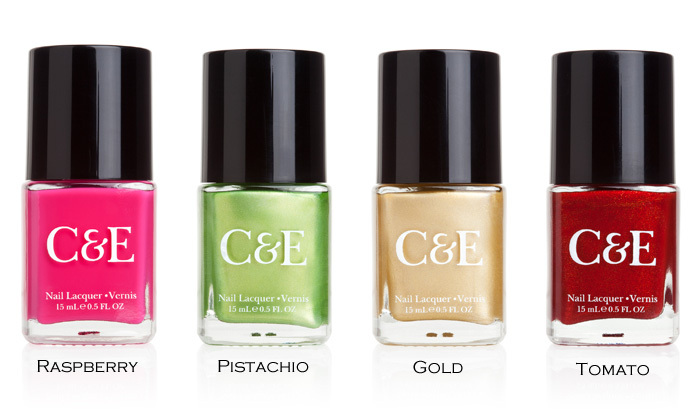 Available instore and online at crabtree-evelyn.co.uk now, made my weekend this has!